An Evergreen official said, "These ships will replace 14,000 TEU vessels currently operating in the Asia to Europe service and they will increase the weekly capacity by a further 6,000 TEU each." 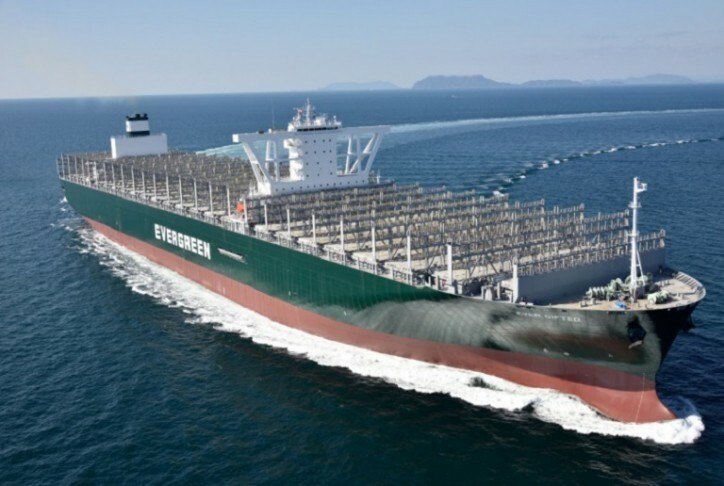 The new ships are part of an 11-vessel order of similar ships contracted by Evergreen from Japan's Imabari yard in 2015, with the remaining ships expected to be delivered over the course of this year. Captain Rajesh Unni, CEO and founder of said, the vessels are "The most efficient, enviro-friendly and impressive vessels deployed across Evergreen's service network. They offer fuel-efficient head-haul options and slow steaming variations on backhauls. We are absolutely delighted to have been entrusted with their safe operation."